In a prep bowl whisk first 6 ingredients together to blend well. Add flour blend and mix on medium low, (setting 2 or 4) until the dough holds together. This will be a softer dough than the recipe above. I use a rubber spatula to ‘knead’ it into a ball. Press dough into your shortbread mold, spreading evenly and handling dough as little as possible. Bake on the lower rack in your oven at 325 for 30 minutes. Shortbread will be evenly golden brown across the surface. Cool 10 – 15 minutes then loosen up the edges with a table knife before turning out onto a wooden board as described in the regular General Instructions. Cut while warm. I am working on a chocolate version, but I am not satisfied with the result yet. I will work on that a few more days I am out of the chocolate for now. Thank you!!! for posting some gluten-free recipes to use in your pans. I can’t wait to try them in my tea shortbread pan. A quick question…I see you post rice flour and sweet rice flour, what is the difference? Is the rice flour brown rice flour and the other white rice flour? Thanks for your info regarding the different rice flours and also for developing the gluten-free recipes. I look forward to the chocolate one you mentioned and any others you feel inspired to create in the future. 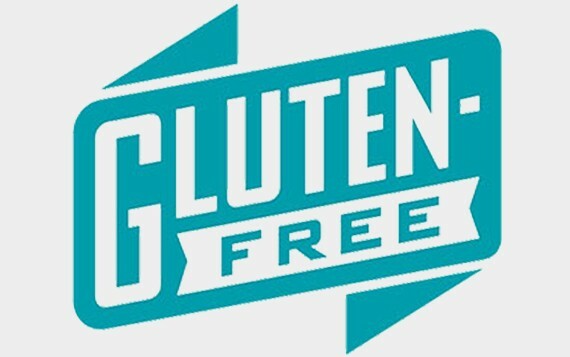 I belong to an Afternoon Tea group, but since having to go gluten-free, I’ve not been able to eat many/most of the foods. Now, thanks to you, I will be able to bring GF shortbread for myself and another GF lady. Would you please give more information on Potato Flour? I found Ener-G Potato Starch Flour at the store and I also found Bob’s Red Mill Potato Starch unmodified. What is the proper potato flour to use and which brand do you recommend? Just made the almond gluten-free shortbread. It was a bit crumbly or delicate, but it was delicious. The almond flavor did not hit strongly, but after swallowing, it lingered nicely. Will be making this again for my Afternoon Tea group. Had to force myself to not eat more than two pieces. One typo…vanilla extract is listed in the directions, I’m sure you meant to type almond extract. Thanks for another great gluten-free recipe. I recently purchased two shortbread stones at a local thrift store. Both of them seem to be in very goos condition but I have no idea where they’ve been and I’m sure theyre not clean. One is a Brown Bag mold and one is Hartstone. I don’t feel comfortable using them until I’ve cleaned them but, I don’t know what’s the proper way to clean a “thrift store” deal! We make the Brown Bag molds and they can be run thru your dishwasher to clean. We cannot speak to the other molds.